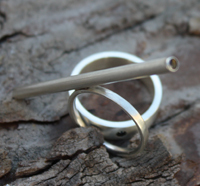 Advanced course in jewellery-making starts 14 September! It’s really hard to find such a beautiful place to work without any sign of bad attitude. About Vicky – I don’t think I’ve ever come across a more knowledgeable jeweller who is also a great teacher!